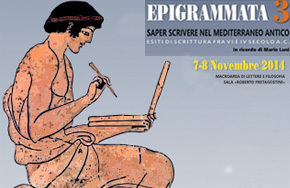 The workshop «Epigrammata 3. 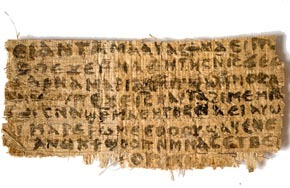 Saper scrivere nel Mediterraneo antico. In ricordo di Mario Luni», will take place in Rome, Università di Roma Tor Vergata, "Roberto Pretagostini" conference room, from November 7th to 8th 2014. 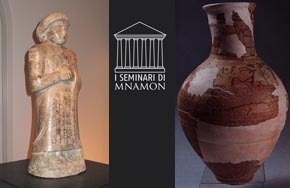 Giulia Torri "Le scritture alfabetiche di Anatolia nel I millennio a.C." at 12 p.m. The book by Salvatore Gaspa "Contenitori neoassiri: Studi per un repertorio lessicale" (Philippika: Altertumswissenschaftliche Abhandlungen 67), Wiesbaden: Harrassowitz Verlag 2014, Pp. 566, 41 ill., 5 tables, ISBN 978-3-447-10126-4 (in Italian with English summary) has just been published. This study collects and analyzes the lexicon of the containers documented in the texts of the Neo-Assyrian Empire (9th-7th centuries BC). 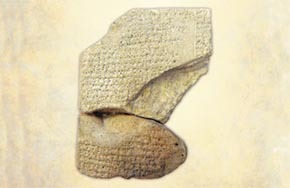 Through an interdisciplinary investigation involving a lexical analysis and a comparison of the textual data with the iconographical and archaeological evidence of the first millennium BC Assyrian vessels, the research presents an updated tool for the study of an important sector of the vocabulary and the material culture of imperial Assyria. 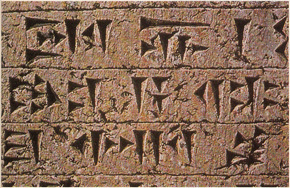 The author also suggests some identifications of the containers mentioned in the cuneiform texts. 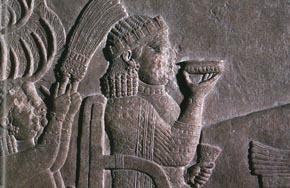 The study sheds light on various important aspects of the daily life in the Assyrian society, from food storage and consumption to ritual dynamics and the symbolism of vessels, from legal practices to the bureaucratic conventions used by the scribes. Paolo Merlo "Scritture alfabetico-lineari semitiche del II millennio a.C. Sintesi dei dati e scoperte recenti" at 12 p.m.
Alessia Prioletta "Scrittura, documenti e pratiche scrittorie in Arabia meridionale prima dell’Islam" at 12 p.m.
Live video streaming will be available via http://tv.sns.it starting at 11 a.m. 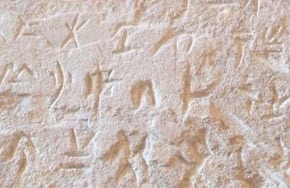 The second and last volume of Silvia Ferrara's work Cypro-Minoan Inscriptions. Volume 1: Analysis (Oxford 2012), Volume 2: The Corpus (Oxford 2013), has been published at the end of December. 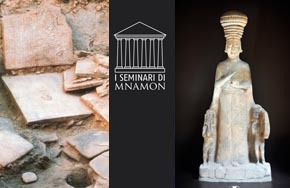 Thanks to a huge work of collection, edition and study of all the extant Cypro-Minoan documents, it proposes new fresh interpretations and a fully original approach. It will certainly be an essential reference for the years to come. A few months after the stimulating collective volume Syllabic Writing on Cyprus and its context (Cambridge 2013: http://www.cambridge.org/mx/academic/subjects/classical-studies/classical-languages/syllabic-writing-cyprus-and-its-context), Philippa M. Steele has published the revised version of her PhD thesis, A Linguistic History of Ancient Cyprus (Cambridge 2013), where she takes stock of the situation concerning the non-Greek languages and scripts of Ancient Cyprus: Cypro-Minoan, Eteocypriot and Phoenician. Thanks to its rigorous and deepened analysis, this small volume will renew the scientific debate on the subject. 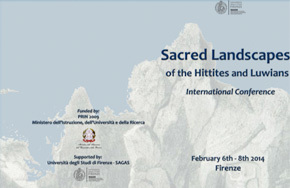 The workshop "Sacred Landscapes of the Hittites and Luwians" will take place from February 6th to 8th 2014 at the University of Florence. Many ancient Near East archaeologists and Hittitologists will analyse and discuss the sacred landscapes in late bronze age and first bronze age Anatolia. 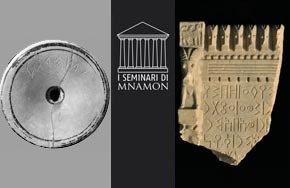 Results from recent excavations in Anatolia but also an analysis of epigraphic fonts will be presented. Program and details available here.